Print stalwarts The New York Times and The Atlantic each announced they will be introducing new video projects that extend their platforms. The Times has partnered with FX, Hulu and Left/Right Productions to launch The Weekly, their first venture into television news. 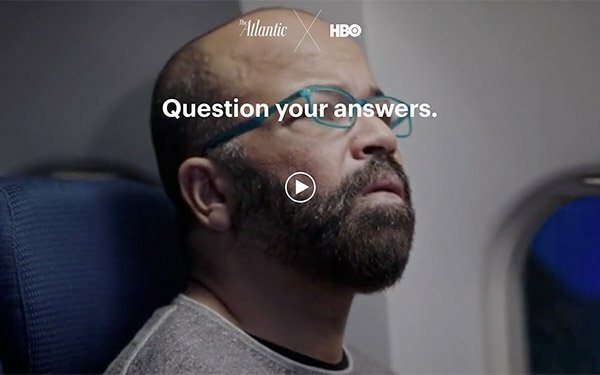 The Atlantic is teaming up with HBO to expand their short video platform "Question Your Answers." The Weekly will be a narrative documentary series that features one or two of The Times’ biggest stories each week. Eliminating the distance between viewer and story, the show will follow Times reporters as they chase down the story, allowing viewers to see how print articles are created. Exclusive North American rights for the linear telecast belong to FX, with Hulu serving as the exclusive SVOD streaming home for the series. New episodes will be available to stream on Hulu the day after the original air date and can also be accessed on FX’s VOD services. “The New York Times is synonymous with excellence, and FX is honored to be chosen as their partner on what will be the first entry for both organizations into the weekly TV news business,” stated John Landgraf, CEO of FX Networks and FX Productions. Partnering with HBO, as well as ad agency Widen+Kennedy New York, The Atlantic is expanding the concept and bringing it to a wider audience. The impetus behind the Question Your Answers concept was a desire to get people to confront their own beliefs in an era of increased political polarization. The newly relaunched series began yesterday with a three-minute film starring Westworld actor Jeffrey Wright as he attempts to answer the question “Should I Be Scared?” Directed by David Shane, who also helmed the earlier short, the new film is live online and will premiere on HBO on May 13, airing before Westworld. Separately, The Atlantic announced a new podcast series called Crazy/Genius, hosted by senior editor Derek Thompson about the intersection of technology and culture. Over eight episodes, Thompson will cover topics ranging from blockchain to online dating and space exploration, asking whether technology is helping or hindering our culture. The first season of Crazy/Genius is sponsored by Westworld and available on iTunes, Google Play, Stitcher and Spotify.